(INPAY) InPay started on Apr 17th, 2017 and works independently of a reserve bank or single administration. InPay cannot be mined for a profit like other coins, so therefore, to get INPAY, you are able to purchase with a currency exchange. We don't have any exchanges listed for InPay yet, check back soon! 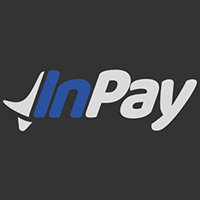 We don't have any wallets listed for InPay yet, check back soon! We don't have any debit cards listed for InPay (INPAY) yet, check back soon! We don't have any price charts listed for InPay yet, check back soon! Sign up to receive our news, guides, blog and press releases right to your inbox, every month! You can find us online on these social networks, plus more!